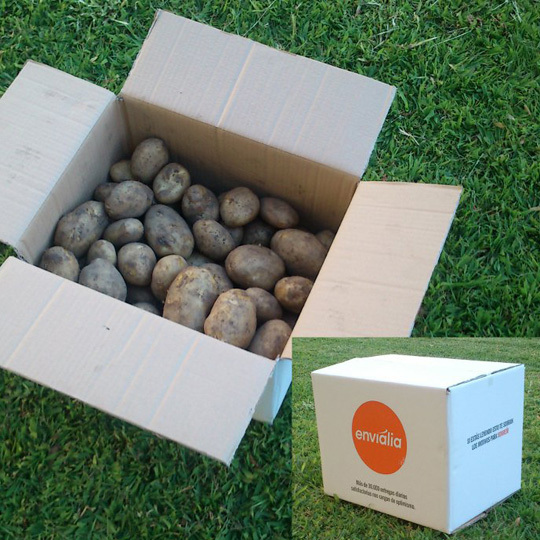 Galician potatoes of the variety Kennebec, cultivated and packaged in Ourense, at the area of Xinzo de Limia. Excellent for frying, boiling or to do spanish omelette, they are well suited to all kinds of recipes. The box measures are 46x30x30, a perfect size to store it in the pantry or in a cupboard. For logistical reasons, packaging (600g) is included in the weight of 20 kg.